Preferred Area of Practice: Family Law including Divorce, Child & Spousal Support, Property Division, Child Custody and Access, Marriage, Co-habitation & Separation Agreements. Alix holds a Bachelor of Arts (Honours) degree in Psychology and an LL.B, both from the University of Victoria. She moved to the Cowichan valley in 1986 to begin her articles with Ridgway & Company’s predecessor firm, and since her call to the bar in 1987 has practiced almost exclusively in the area of family law. 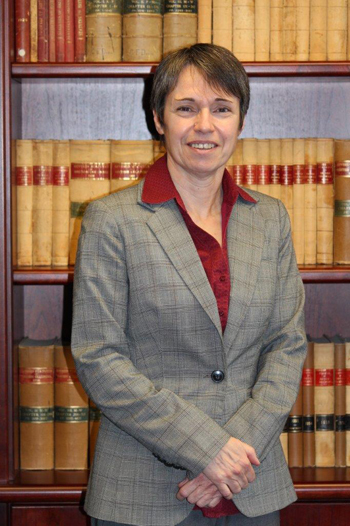 Alix has extensive experience in both Provincial and Supreme Court litigation, though she strives at all times to assist her clients in reaching satisfactory out-of-court settlements. For many years Alix’s family practice included acting as counsel for the Director for Child, Family and Community Service in child welfare matters. For the past several years she has devoted her practice to providing representation to men and women requiring assistance on family law issues. On May 18, 2016, Alix received her certification to act as a Family Law Mediator.